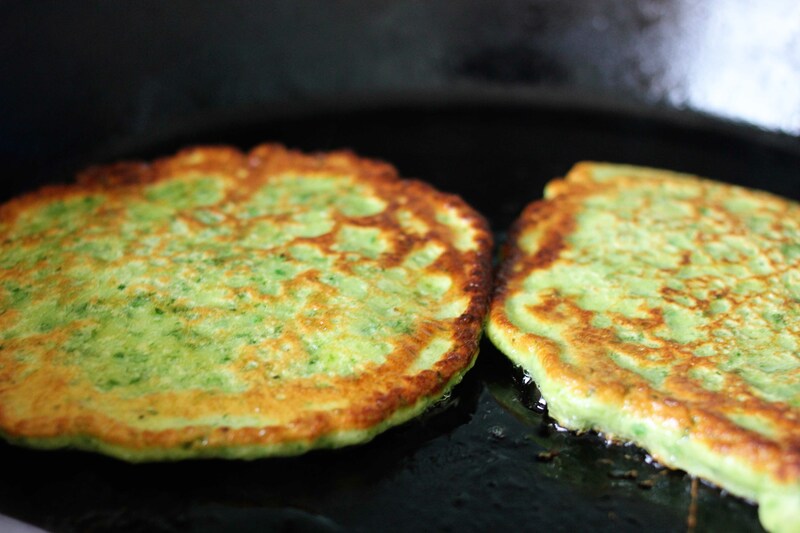 These pancakes are not the traditional pancake we think of at all; though they are cooked in a pan and very much come out to be eggy and green little cakes, they are French in heritage and are known formally (and fancily) as farçous, with a texture very similar to that of a thick crepe. Instead of being tinged with sugar and melted butter and doused with a sweet syrup, they rely on savory flavors, like garlic, shallots, and salt, and are loaded up with lots of green vegetables – most usually, Swiss chard. I came upon these pancakes while thumbing through one of my favorite cookbooks, Dorie Greenspan’s Around My French Table. It is the perfect cookbook to have on hand for times when you have a fridge full of ingredients and are unsure exactly what direction to take supper in. In my case, at our farmer’s market I had fallen prey to the guises of a two pound bag of fresh Swiss chard from Red Wagon Organic Farm (on sale! ), and found myself with a glut of the greens and a desire to do something with them a bit more creative than just a boring saute. Dorie’s book is brimming with unusual and thoughtful recipes that are very simple, well thought out, and easy to follow, and with over 300 of them packed into the oversized binding, it’s generally a sure bet that if you are going to find a good idea anywhere, chances are you’ll find one in there. And so there I was, putzing around my kitchen, whizzing my mountain of swiss chard down into a dish that normally we reserve for breakfast, and reciting verses from the very first book that I ever ‘read’ on my own. Through the magic that is Wikipedia, I learned that Dr. Suess (aka Theodore Suess Geisel) wrote Green Eggs and Ham using only fifty words, after his publisher bet him that doing such a thing would prove impossible. Apparently not one to be held down by a silly bet, over five decades later children all over the world are still declaring that “No! 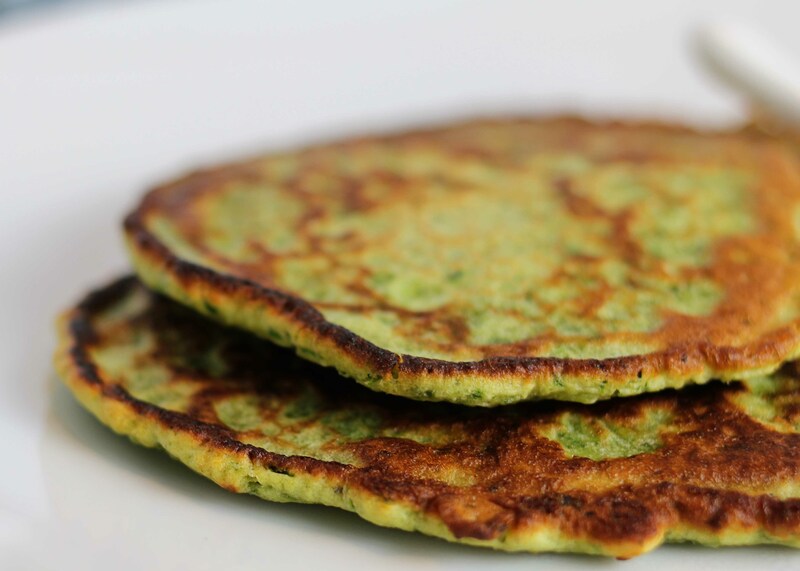 I would not like them with a mouse!,” and (supposed) adults like me are making crazy things like green pancakes stuffed with spinach. But you will like these! I promise. You will like them anywhere. These pancakes were perfect, as they not only made interesting use of all of my chard, but also went swimmingly with the herb-slathered chicken I had already prepared to pop on the grill. 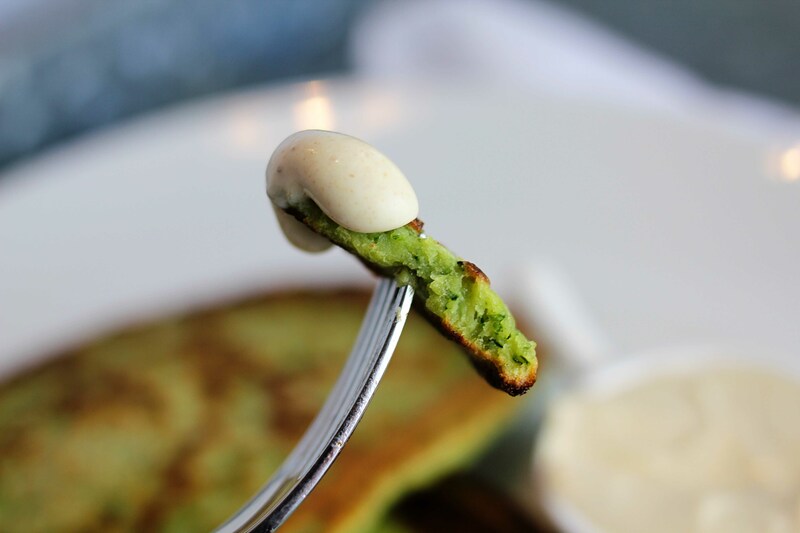 It was a new take on ‘chicken and waffles’ – minus anything fried or sugar laden, plus healthful greens and greek yogurt – and was surprisingly one of my favorite vegetable centered side dishes I have made all Spring. 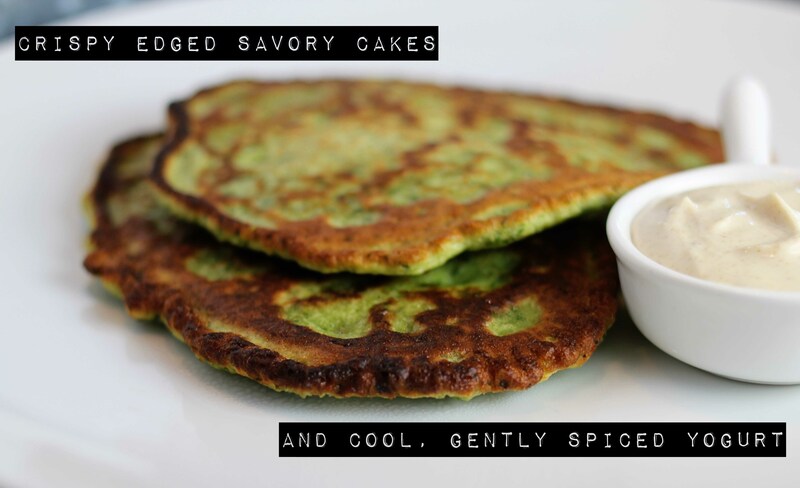 Though their color might indicate otherwise, these cakes do not taste overwhelmingly ‘green’ in any way; the chard mixes up with other savory bits, like chopped shallots, garlic, and salt, and combines in such a way that you are left with a deliciously textured savory crepe of sorts. Though Dorie’s recipe did not include a sauce, I am a dipper and dunker at heart, and knew these would need something interesting to go alongside. Greek yogurt is my default of choice these days when I need something rich tasting but that won’t sink the nutritional profile from pretty good down to abysmal, and whipping some up with dijon mustard, cumin, coriander, and a pinch of red pepper flakes made the perfect accompaniment to the warm and crisp edged cakes. These were truly awesome. I have plans to defrost our leftovers and use them as a pita-type bases for sandwiches (perhaps slathered with goat cheese and vegetables? ), or also as an interesting ‘bun’ to fold up and around a grilled sausage. 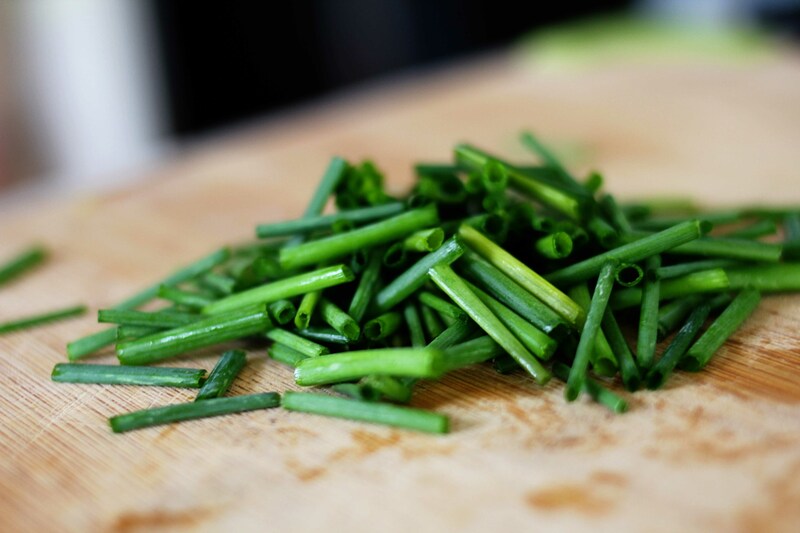 They are very pliable yet still sturdy, and are great standing alone as a vegetarian meal (with a nice green salad), or complementing grilled meat or fish as a side dish. 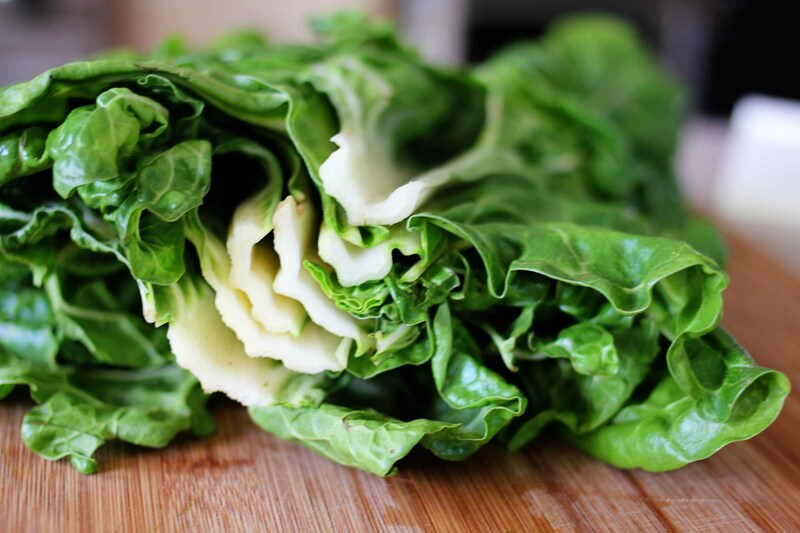 I was left snacking on leftovers, cold, straight from the fridge, and also think that the addition of different leafy greens – spinach, arugula, or even the bitter-tinged broccoli rabe – would be great ways to switch things up. A total success, Sam I Am. In her cookbook, Dorie says, “In French homes, farçous are a robust main course, most often served with a salad. Served as supper, the pancakes are usually fairly big, sometimes even as large as a skillet, but they can be made smaller (my preference) and served as an hors d’oeuvre, starter, or side dish. ” Rather than make forty (!) five inch pancakes for just the two of us, I made normally sized pancakes, about 7-8″ wide, and just kept going until the batter ran out. I ended up with about 14 normal pancakes, and, as Dorie says, they freeze really well when separated with small squares of parchment and sealed in a ziplock bag. We ate these for lunch, and then froze the leftovers to have later this Spring. 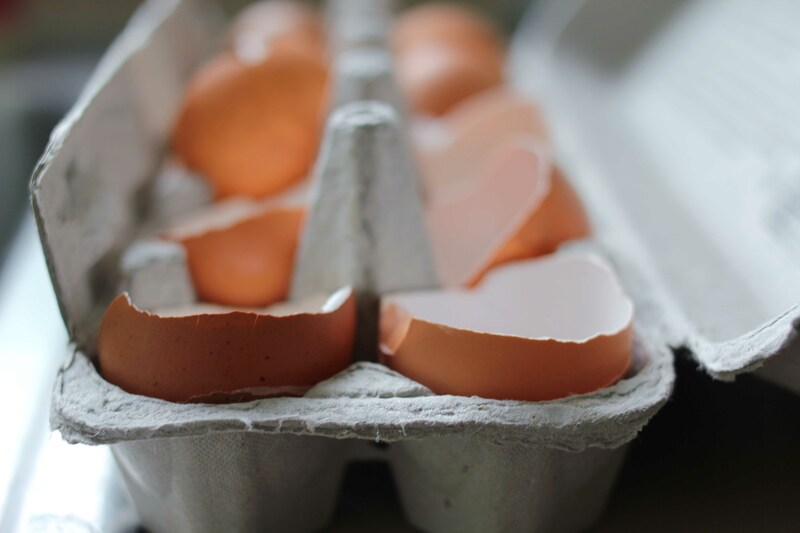 She also notes that if you think this is going to be too much for you, cut the recipe in half and use 1 egg and 1 yolk. These are really tasty. They are eggy and dense, and not as springy as regular pancakes (where you usually separate the whites from the yolks, and whip them, then fold them back in, getting an airy texture), but I think their hearty texture befits the addition of the chard and spices nicely. They are great for mopping up sauce, and go especially well with roasted chicken (as I served it – my spin on ‘chicken and waffles!’). 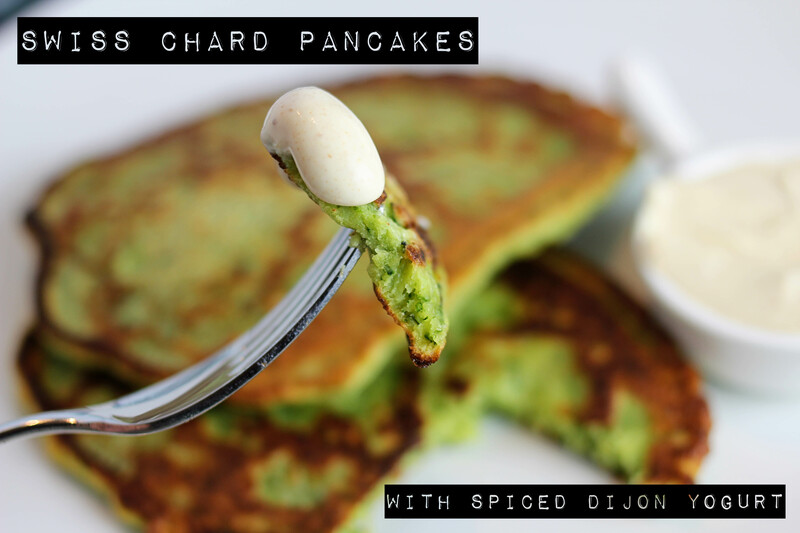 Please note that the chard pancake recipe is Dorie’s, but the yogurt recipe is mine. Preheat the oven to 250 degrees F. Line a baking sheet with foil, and line a plate with paper towels. This is where you will keep the pancakes warm while you fry them up. Make the yogurt sauce. 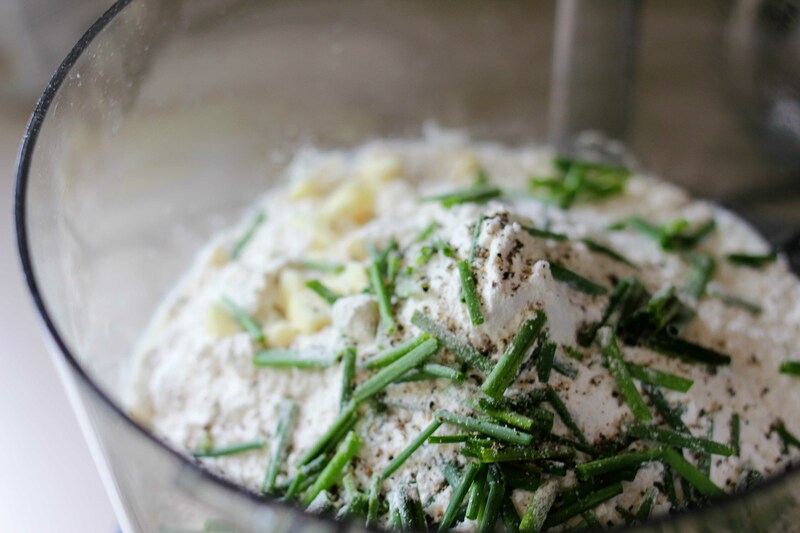 In a medium bowl, whisk all ingredients together to combine. Keep covered in the fridge until you are ready to use. Little by little, add large handfuls of the chard to the mix and pulse to incorporate it. There’s no need to completely pulverize the chard — having some green strands is nice, but you do want to make sure you don’t have any large chunks or pieces. 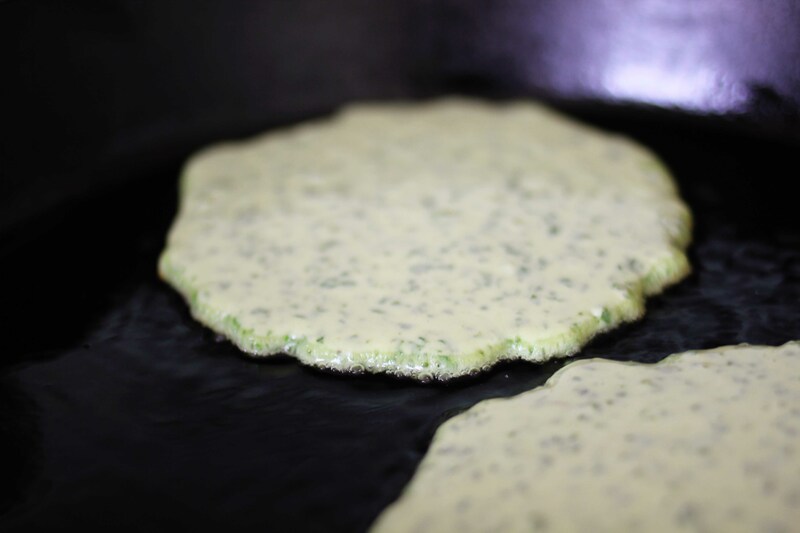 Pour ¼ to ½ inch of the oil into a large heavy skillet, and place the skillet over medium-high heat. When the oil is hot (a drop of batter should seize and sizzle immediately), spoon in a scant ¼ cup batter for each pancake (or more if you are making them larger) — but do not crowd the pan: depending on the size of the pan, 4 pancakes is probably max per batch (I could only fit 2 larger cakes at a time). Cook the pancakes for about 3 minutes, until the underside is nicely browned and the edges are browned, crisped, and curled. Flip the pancakes over and cook for another 2 minutes or so. Transfer the cooked pancakes to the paper-towel-lined plate, cover with more towels, and pat off the excess oil if necessary. Place them on the foil-lined baking sheet and keep warm in the oven while you continue to make pancakes, adding more oil to the pan as needed. This entry was posted in appetizer, breakfast, entree, lunch, side dish and tagged appetizer, healthy, side dish, simple, vegetarian, weeknight favorite. Bookmark the permalink. 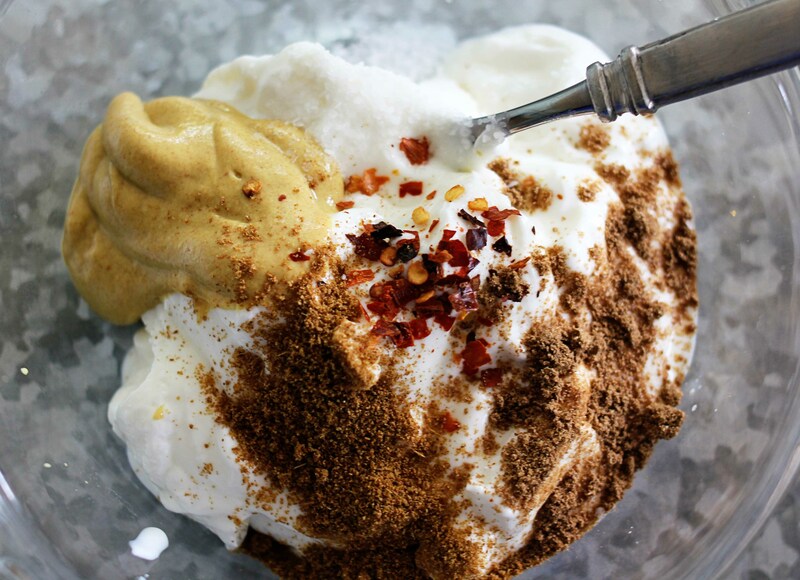 Great Recipe and will have to give it a whirl – thanks for sharing! Have a Great Day! thank you!! let me know what you think if you do 🙂 happy thursday! I wish I’d had this before I used food coloring to make Green Eggs and Ham for Dr. Seuss’ birthday. This is about a zillion times more appetizing! hahaha….still though that sounds awesome! its so funny how universal that book is. i literally remember being teeny tiny and reciting it all the time when i didnt want to eat something! Gorgeous! Totally want to try these – they look amazing! These look amazing! I can’t wait to try this! I too am a dipper and dunker at heart so I’m glad you included your sauce recipe. I can see this as a great meat free meal one night, but I love the appetizer idea. Might be something unique and fun for my next Oscar party! These look fantastic, hmm… I know what I’ll be eating tomorrow! I just bought Around My French Table a few days ago, and I’m drooling over all the photos. Can’t wait to make something! This looks just beautiful. oh i am so happy that you did! it is my current fave, and i think it will be for a long, long time 🙂 thank yoU! What a wonderful way to use the chards! Delicious! thank you! i think rainbow chard would work well too, though the colors might get a bit muddy. enter your email to subscribe & receive notifications of new posts via email. 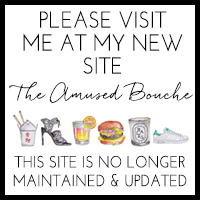 To My Dear Readers: Goodbye Eat & Relish…hello The Amused Bouche!